This gentleman, whom i really adore for his conviction, perseverance, patience and above all for the humanity in him. Had the opportunity to spend almost an hour in his new built home and that too on the Grihapravesham day. Will certainly dedicate a blog note to him in sometime today..
Below photo was not taken by me and doesn't belong to me a s well. 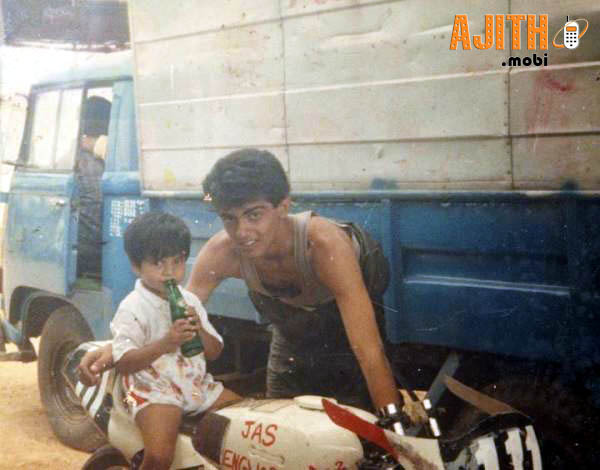 This photo of Ajith at a very young age should certainly be one of the most viewed "unseen photos".